In recent years Russians have developed a real taste for Japan. They used to only know about origami, samurai or karate, but these days they are literally devouring new words – sushi, sashimi, tempura. When the fist Japanese restaurants opened in Moscow it was love at first bite. Pyotr Golunov heads one of the most popular restaurant chains in Moscow. He says in Moscow there are more than 800 Japanese restaurants, a number that already outstrips New York and Paris. This success is explained by many as a general interest in Russia for all things Japanese. However, relations between the two have been rocky in recent times. In the 20th century alone the countries were involved in five armed conflicts, and still have territorial disputes. Japanese scrolls were popular in the homes of Russian aristocrats at the end of the 19th and beginning of the 20th century. Modern Russians are used to other forms of Japanese art. Manga and anime quickly gained fans in Russia. TV series and big screen cartoons have become hits. Anime images are often used for theme restaurants as well as TV commercials and posters. But even these Japanese images are not as popular as Japanese literature which boomed at the end of 1990s. Dmitry Kovalenin was the first to translate the works of Japanese author Haruki Murakami. As soon as they appeared on the bookshelves, Murakami's novels raced to the top of best selling list. 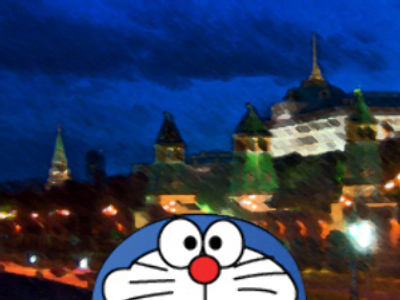 Dmitry says the knowledge of Japan in Russia is based on stereotypes. “Here on this side of the Urals, the knowledge of Japan is limited to geishas, samurais and kamikazes. Same thing when foreigners come to Russia, Japanese or Americans, and film bears, babushkas and samovars. His first acquaintance with Japan was during childhood, living on the island of Sakhalin, where he tried to see the Japanese shores from the very south of the Russian island. “We, Japan and Russia, actually live back to back and the fact we are so turned away from each other is a real paradox!” gasps Kovalenin. But very soon Japan and Russia will face each other in Hokkaido.